While on holiday in Provence, young war widow Charity Selborne and her friend, the irreverent, artistic Louise, are intrigued by 12-year-old David Shelley, a boy whose maturity masks a secret. Discovering that David's stepmother brought him to France to hide him from his father—an antiques dealer who has been accused of murder—the ladies and several of the other hotel guests are embroiled in a tense and unexpected adventure. 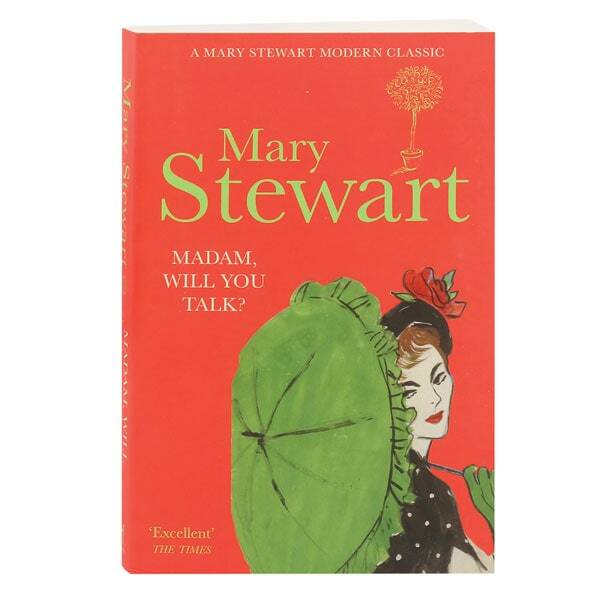 Evoking Agatha Christie, Stewart's 1954 debut features lush settings, romance, and more than a dash of intrigue.